Off Topic / Re: Happy Birthday, Robina! Thanks everyone! Was a pretty good day! 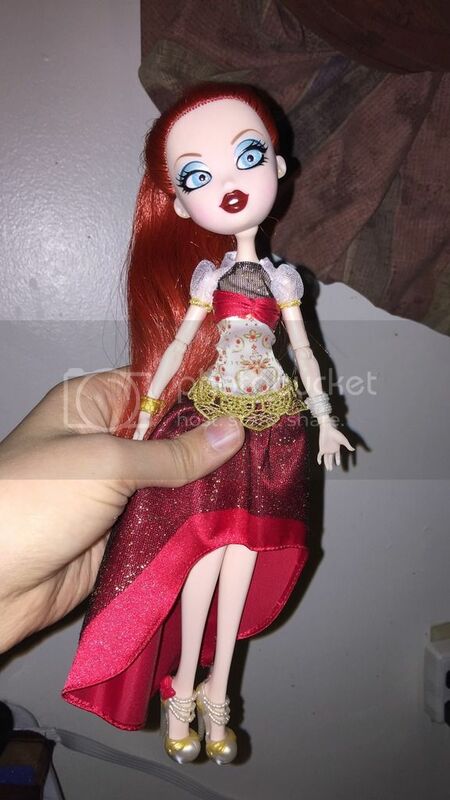 Ever After High Discussion / Re: Fairest On Ice pricey and rare? They were hard to find when released. Very spotty distribution and if stores didnget them, most didn't seem to get very many. They were also exclusive to Walmart if I remember correctly. So between the fact that they are pretty, therefore well liked, and were hard to find when released, the prices shot up ridiculously. Off Topic / Re: Anyone Else Love Blind Bags/Boxes? I like some of them, hate others. I highly prefer being able to feel. My roommate (with small amount of help from me) has gotten both of us the Lego and Megablocks figures we've wanted from at least 8 series I can think of. If I can't feel to tell what I'm getting, I tend to get far less of the items, usually stopping after two duplicates. They're still fun, but they get less of my money. 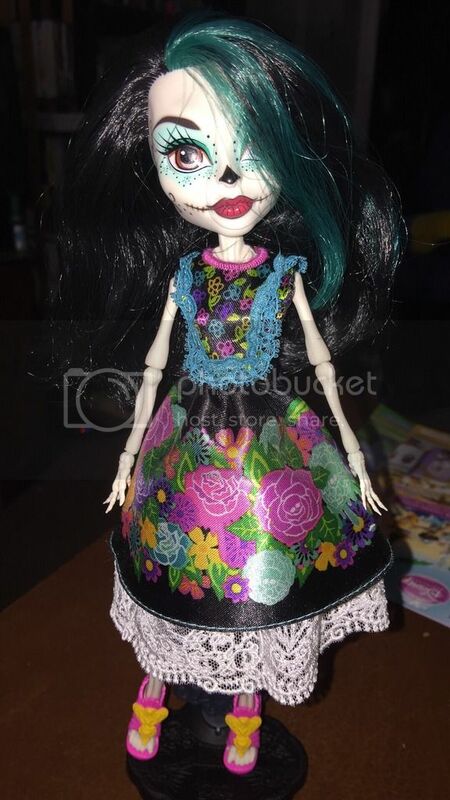 Customs / Re: Bonita Femur Color Match Question--Bodyswap Suggestions? The Pink Color Me Creepy CAM is a pretty good match. Ever After High Discussion / Re: Ever After High/Monster High crossover book? Nice! Since there's no Fall Entertainment MH movie announced , I wonder if this is it? Besides involving some of the most boring people in either franchise, but i guess it's easier to pass off a green skinned girl than a ghost at EAH. Draculaura's Darkroom / Re: Can I see some Candy-themed cuties? This sounds like a job for Myrcury! She's been told and is already planning a pic spam! Off Topic / Re: Happy Birthday, Wuvmykitties! Introductions! / Re: Hi there! 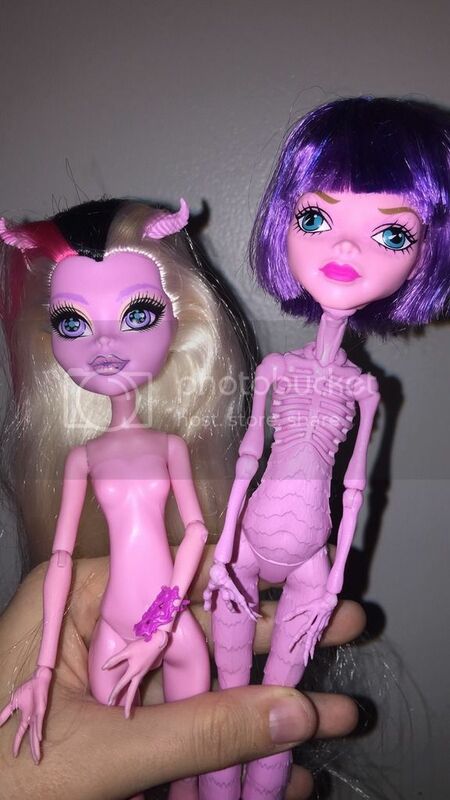 Draculaura's Darkroom / Re: what are your favorite doll clothing swaps? Collector Skelita's stock looks much better with Scarnival Skelita's face up in my opinion! Off Topic / Re: Do you have a smart phone? I have an iPhone 6Plus that I love. I started on iPhones because the phone I seriously wanted was out of stock for over a week and my flip phone had broken so NO I COULDN'T WAIT. And a website I used to use had an Apple App but not any other provider. So I got a 4s and will probably just stick to iPhones cause I like them. My roommate has a Blackberry flip phone. It "isn't supported", which means that the games and a couple apps don't work, but it still sends calls, e-mails and texts just fine, which is all she uses it for. She refuses to get a touch screen phone. We have a friend who sells phones and he teases her that it hurts his heart to see her phone. I want that Posea. Lovely work. You make the eyes looks so realistic without hitting the "too real" valley (for me, at least.) Rochelle looks just as good, but I had no interest in Posea when she was in stores and you made me fall for her. Gorgeous. Draculaura's Darkroom / Re: Show Me.... Your Favorite Head Swaps !!! And two of my Novi Hybrids. Nita on Haunted Spectra's body, Malie on Ari's body. They're totally related in my head canon. All of these links have a thread to talk about them specifically, so I'm locking this thread. Monster Discussion / Re: FAVORITES FACE OFF! FINAL ROUND! Hello! I lurked the forums for months before joing too. I was so sure I'd lose interest pretty fast... almost two years (and over 110 dolls) later, I'm still going strong! Are you having good luck with the mini hunt? Hi there! Welcome to the forum! Hope you'll share pics of the outfits you make for your ghouls! Whoa, I looked at Amazon and Merry Trotabout is unavailable and it says they don't know when she'll be back in stock... Has it been like this for a while? I've been holding off on buying her and Moanica cause I don't know if they'll be Christmas gifts or not. Crap, did I totally miss my chance!? She was available earlier this week cause I ordered her. But I think she was the one on sale for about $5, so I don't know if they'll get more or not. Hope you can still get her! 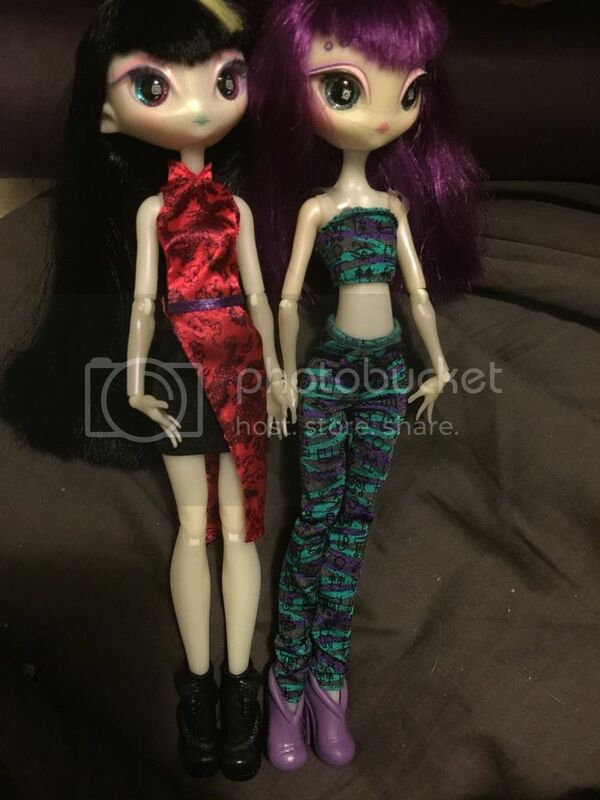 Customs / Re: Re-bodying dolls!